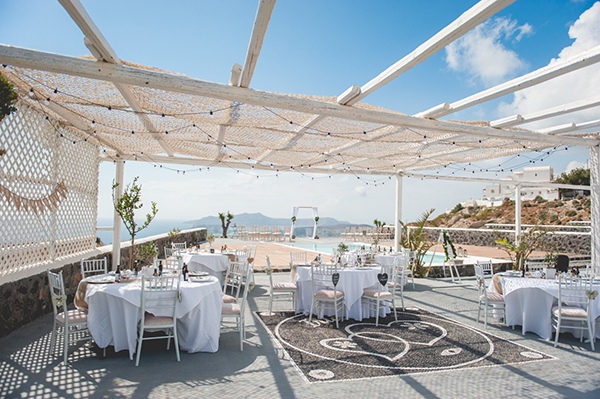 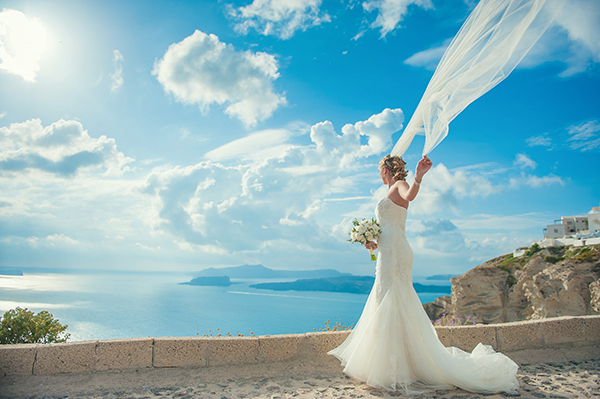 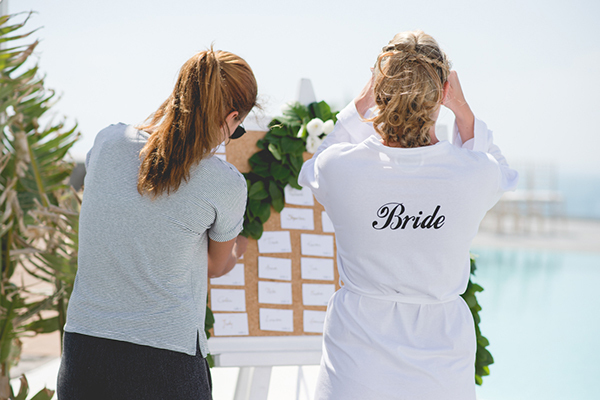 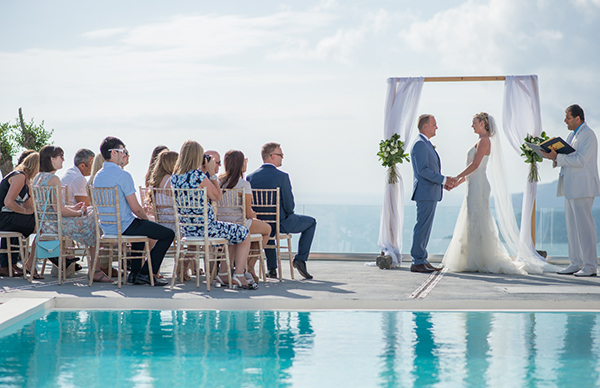 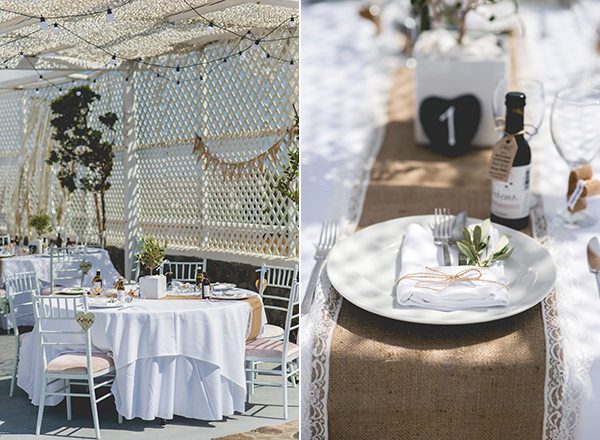 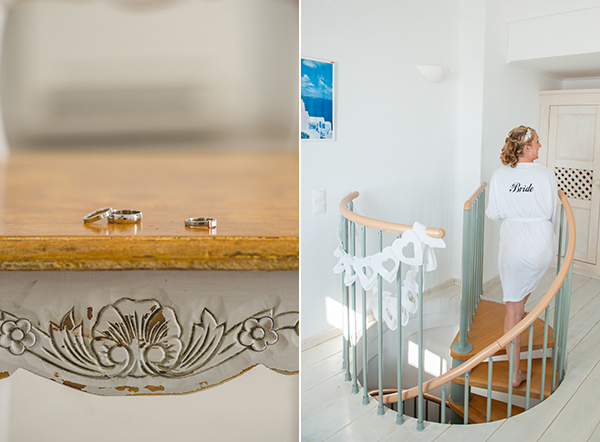 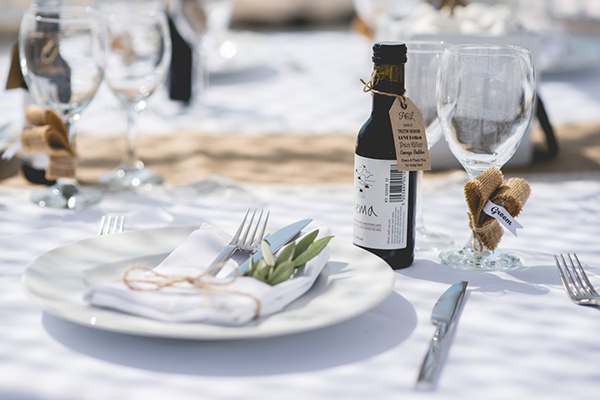 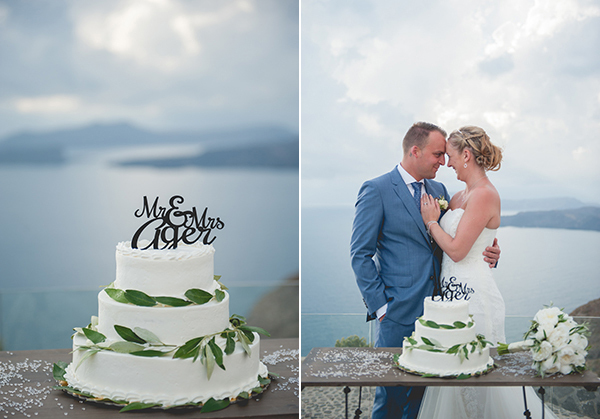 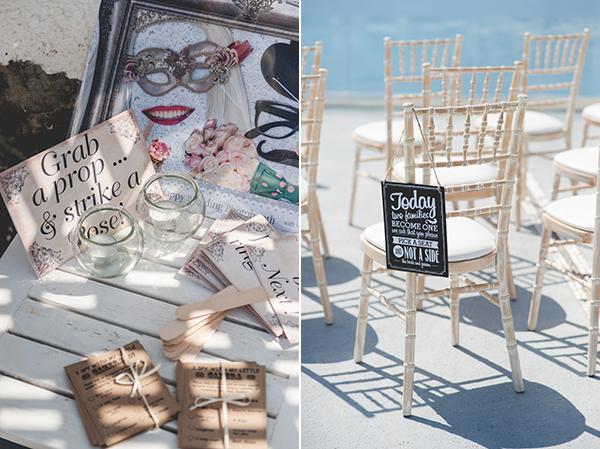 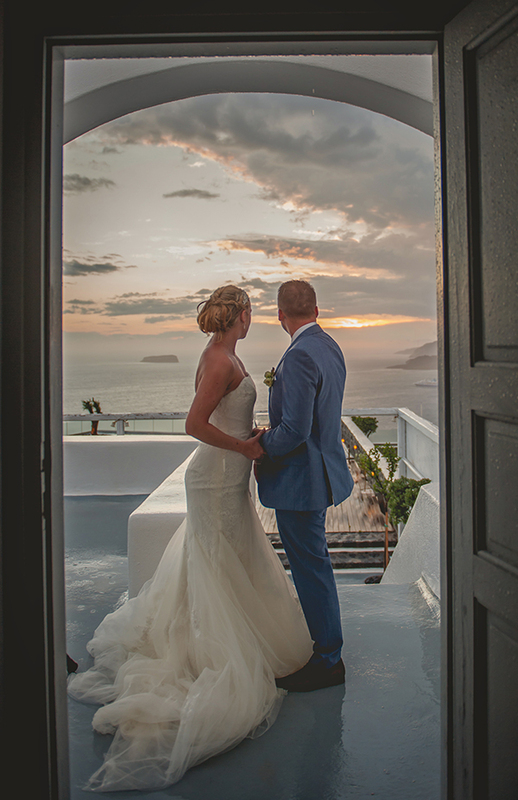 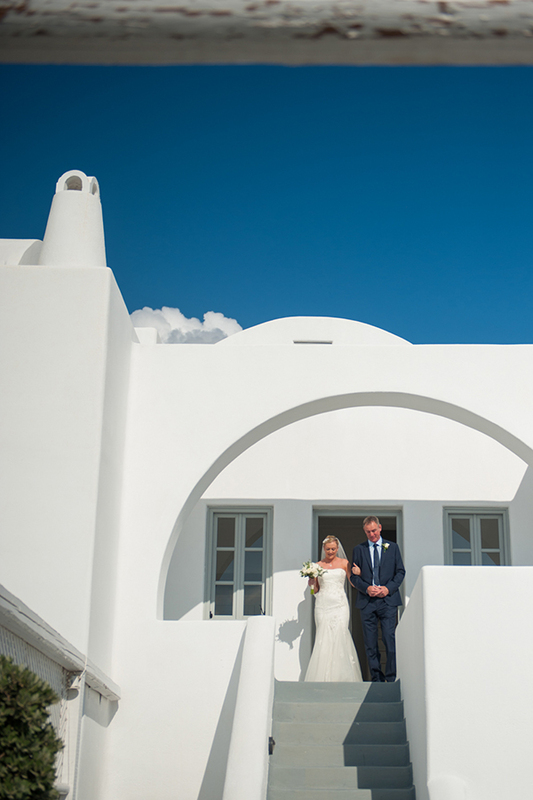 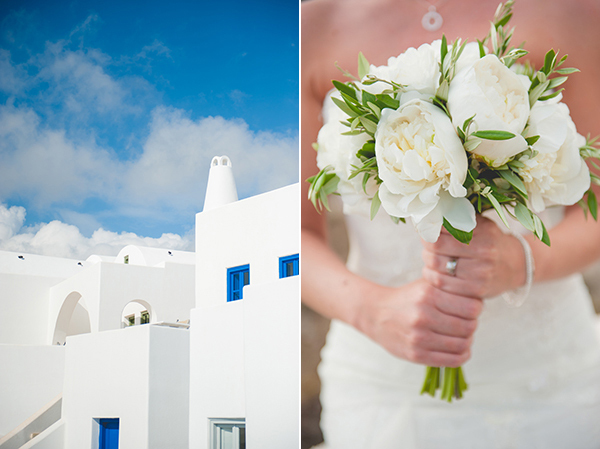 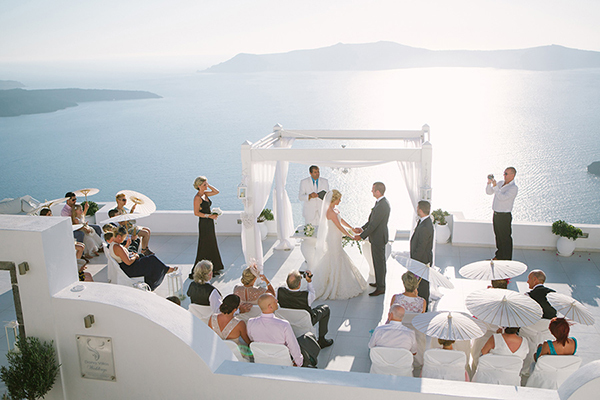 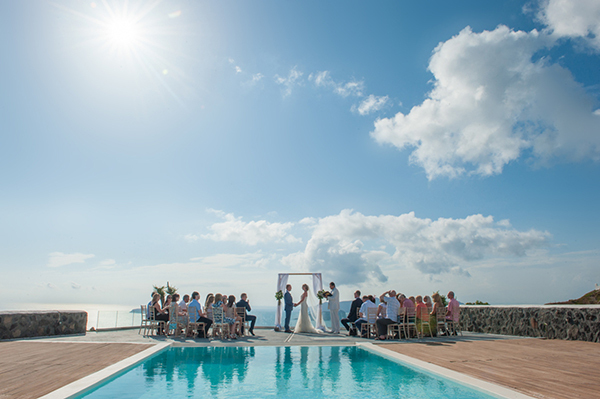 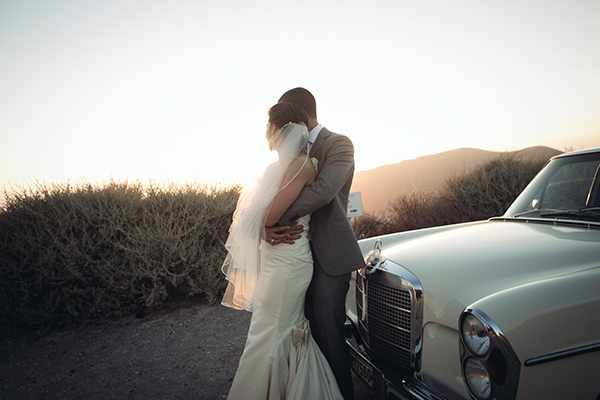 We are featuring today a lovely Greek island wedding bursting at the seams with rustic chic details planned and styled by Santorini Glam Weddings and captured beautifully by Phosart Studio. 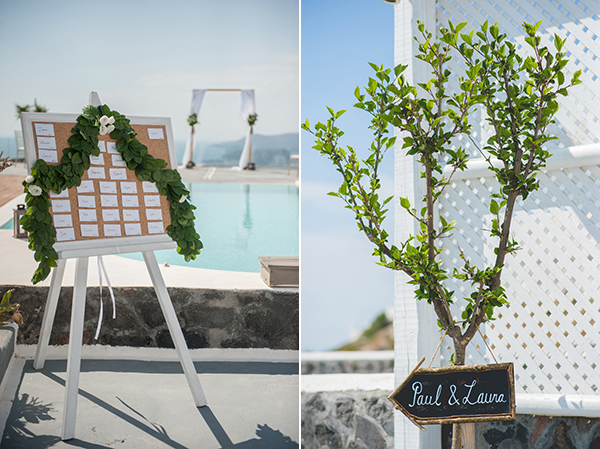 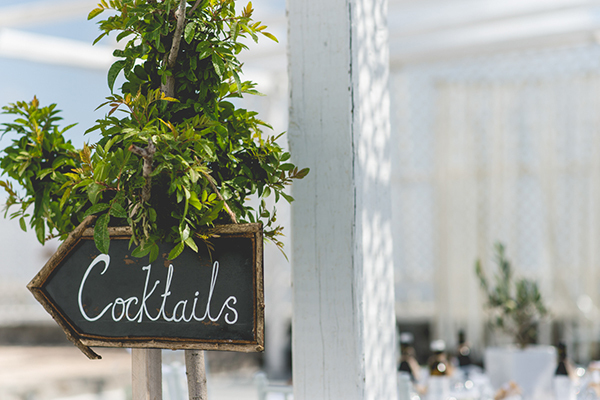 From the idyllic wedding backdrop to all the shabby chic decor with burlap, craft paper and twine, surely this is just one of those darling destination weddings in Greece you don’t want to miss! 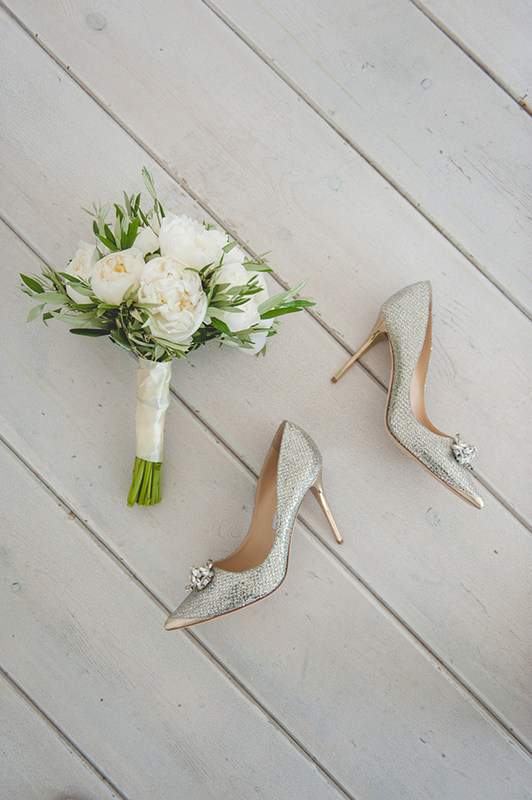 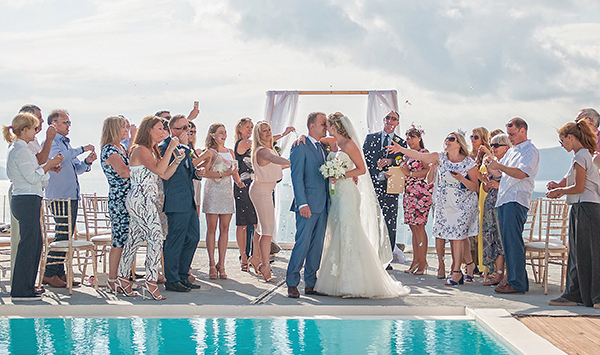 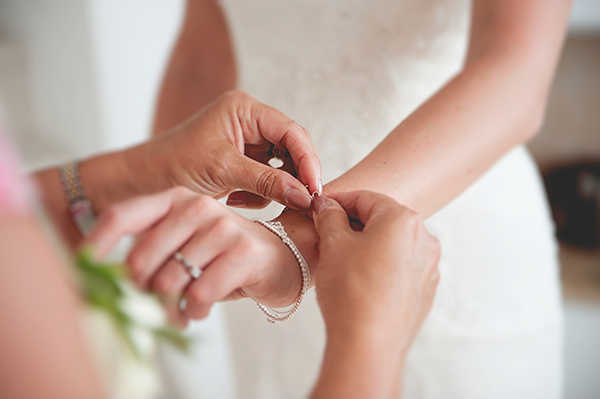 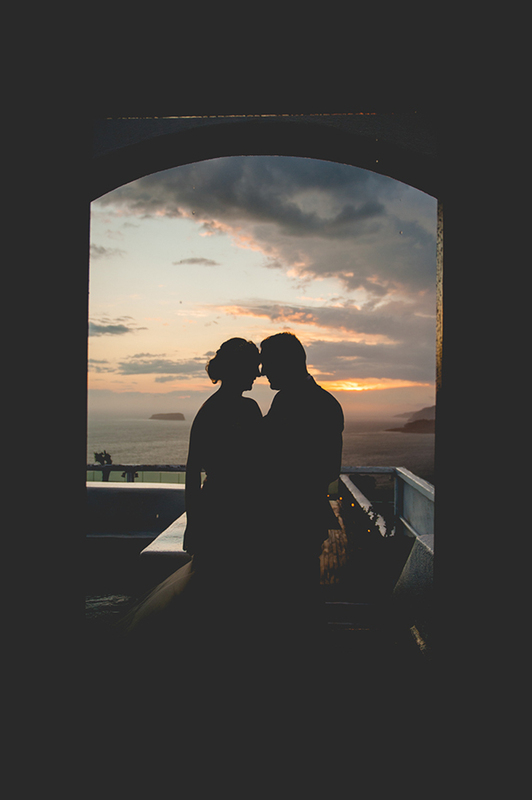 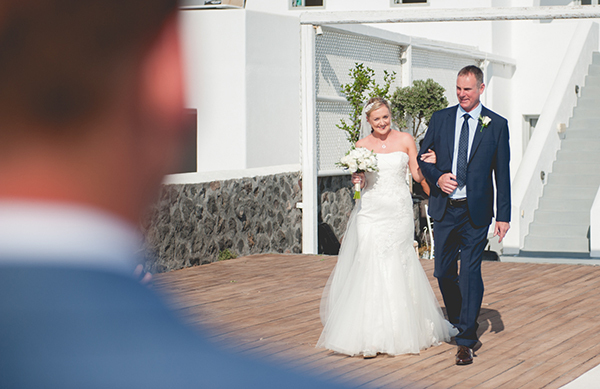 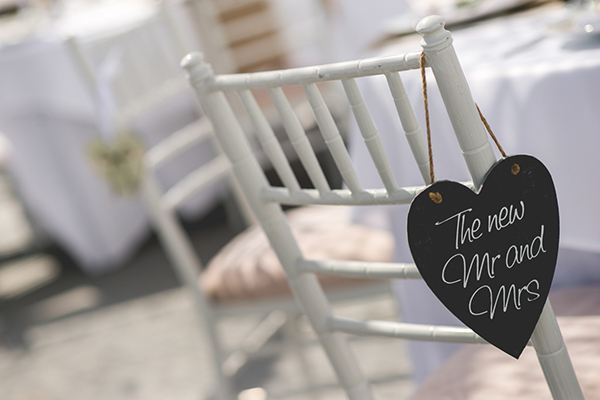 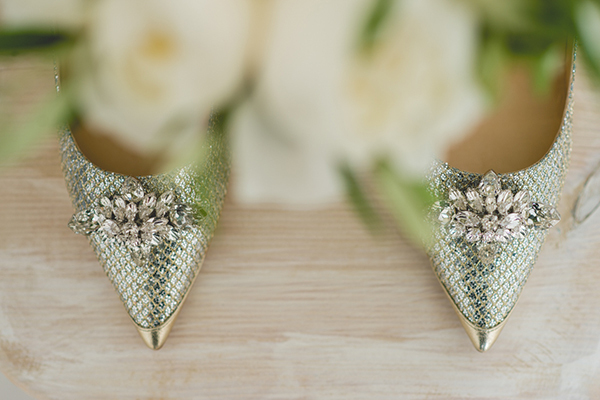 “My best moment was the final kiss once we’d made our vows and everyone threw confetti, a real celebratory moment with the people we loved around us!”, the lovely bride share with us.